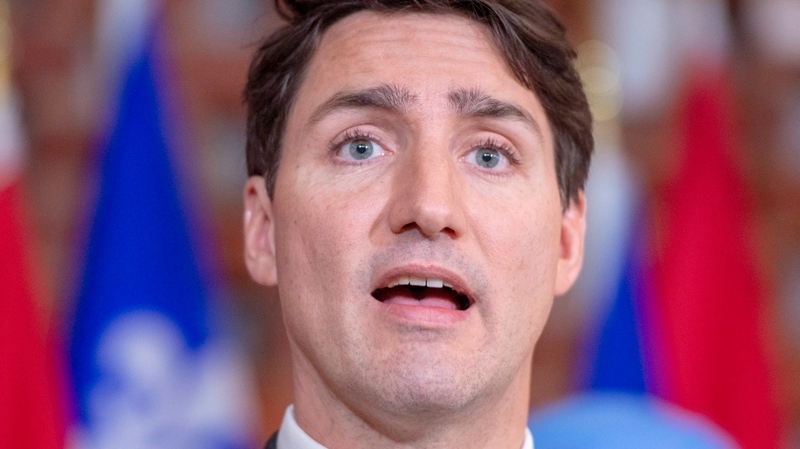 Justin Trudeau said his government plans to limit access to handguns and assault weapons to confront gun violence in the country. "We are currently reflecting on how we are going to do better to counter the violence caused by handguns and assault weapons, yes," Trudeau said. "What's happening is unacceptable." "I think people across the country expect us to do a better job protecting our citizens and our communities from gun violence," he said. "There are concerns about the access that criminals have to handguns and assault weapons, and we're going to look at measures to continue to keep our communities safe." In 2015, Trudeau's Liberals campaigned on a promise to "get handguns and assault weapons off our streets." In a statement, Trudeau noted the victims were targeted because they were women. "We remember the victims of this hateful act of violence, and unite against the misogyny at the root of this tragedy," he said. His statement did not mention firearms, but it called for action against violence and discrimination affecting women. "Survivors and advocates are leading the fight for change, and their example inspires all of us," he said. Thursday's comments come as Montreal marks the 29th anniversary of shootings that killed 14 women at the Ecole Polytechnique engineering school. Trudeau joined Premier Francois Legault and other dignitaries at the end of the day at a memorial event on Mount Royal.